Growing costs have forced NASA to cancel an X-ray astrophysics mission conceived to study intense gravity fields around black holes and collapsed stars, a senior agency official said Thursday. The Gravity and Extreme Magnetism, or GEMS, project did not pass a NASA confirmation review, a key decision point before the agency allows a mission to proceed into construction for flight, according to Paul Hertz, the space agency's astrophysics division director. "The GEMS project was initiated under a very well-defined cost cap," Hertz said Thursday. "As they approached their confirmation review, it was clear they would not be able to complete [the mission] within their cost cap." 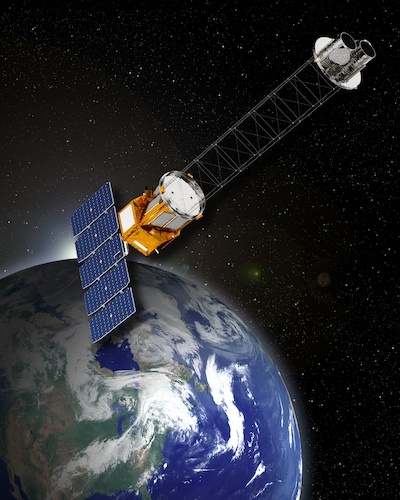 GEMS was constrained to a cost of about $119 mission in current-year dollars, excluding the satellite's launch vehicle. But an independent assessment estimated the project's cost would come in 20 or 30 percent above the prescribed level. Hertz attributed the cost growth to challenges developing the mission's X-ray instrument, which had delayed the launch date for GEMS to November 2014. GEMS would have likely launched from Cape Canaveral, Fla.
"NASA made the very difficult decision not to confirm GEMS into the implementation phase," Hertz said. After an appeal by the GEMS team, led by principal investigator Jean Swank of NASA's Goddard Space Flight Center, agency leaders affirmed their decision to cancel the mission. Hertz said NASA is in the process of formally notifying Congress and other stakeholders before carrying out the cancellation. Including termination costs of about $13 million, NASA will have spent about $50 million on the GEMS mission when the project ends, officials said. GEMS was an Small Explorer mission, a class of relatively inexpensive missions designed to launch every couple of years with narrow science objectives. NASA has canceled other Explorer-class missions due to rising costs and technical problems. The agency in 2002 and 2003 terminated two projects to obtain precise position and brightness measurements of 40 million stars in the Milky Way galaxy and quantify the amount of hot gas between galaxies. GEMS was designed to explore how intense gravity around spinning black holes warp nearby space and time. Scientists also intended to use the mission to probe the structure of magnetic fields around neutron stars, ultra-dense cores of stars left over after supernova explosions. The mission would have featured two co-aligned telescopes and a focusing optical system to collect X-rays. Detectors would have measured the polarization of the X-rays, which can tell astronomers about the shape and spin of matter around black holes and highly-magnetized neutron stars. According to Hertz, other observatories can answer some of the central science questions that were to be addressed by GEMS, but not with the same fidelity or the same technique. "We will making sure that the team captures everything they have learned about designing, developing and testing these kinds of instruments, so that their great technological achievements will not be lost," Hertz said.